The younger me didn’t trust herself. Just knew the right way forward. Placing my destiny in other hands. I doubted the wise owl within. And richer when I’m being me. 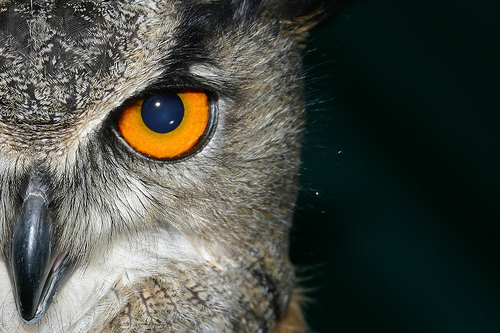 Mythology relates the owl to wisdom and femininity. Day Five of Five for Five – and I did it! I blogged five days in a row for the first time ever. Big thanks to Sarah and Jen at Momalom.com for hosting this meme, and to Melissa for encouraging her Six Word Fridays participants to join in on the fun. I can relate to so much of this. Thrilled to have found your blog! Yes, you can breathe so much easier when life is less forced. Hear! Hear! We all know that to be true yet we need to make mistakes in order for us to really believe that. Justine, The learning (the listening?) is in the mistakes. Agree. It’s always easier being your authentic self versus one that you think makes others happy. I wish we were all born with that wisdom. Adrienne, read your post and totally “hear” you on the similarities of our themes. Learning to trust that voice…takes time. Glad I’m finally listening! Listening the quiet voice inside is hard – the world outside is so loud, sounds so stridently certain. But inside knowing is better. I adore owls. One stayed by my window during my first pregnancy. She sang to me often. It was only after that I truly trusted myself. I get this. And It took me many years to realize I wasn’t always me. And that life was easier when I stopped to listen to the she who would be me when I opened the door.